Will BREXIT be the END of Football Manager?! Yesterday the whole world was shocked when the UK government announced the results of the Brexit referendum - UK decided to leave the European Union after 40 years. Even thou democracy and the people won, in the long run this decision looks like a lost battle for the people of the UK and their entire economy. 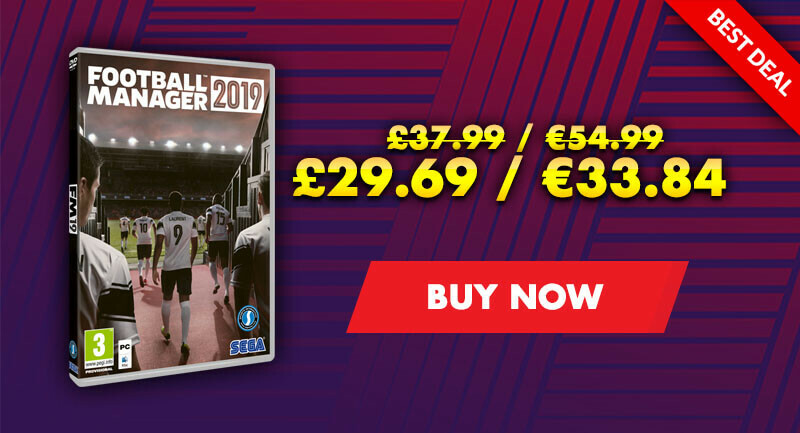 There is no telling where this will lead UK economy in the future, but it also has struck hardly Sports Interactive, team that is behind every Football Manager game. Whit great uncertainty the future of Football Manager doesn't look good and we might have played our last version of the game. Yesterday Miles Jacobson, director of Football Manager has not given a clear statement on whether there'll be a new Football Manager, but instead posted LinkedIn blog to clarify how will Brexit affect the Sports Interactive team and Football Manager in general, and unfortunately it doesn't look good. I’ve been asked regularly on social media how it could affect Sports Interactive and Football Manager and found it nigh on impossible to comment with the character limits (particularly on Twitter) and most of the posts I’ve seen on Facebook have just turned into slanging matches. So I’ve chosen to post on LinkedIn instead, then link from the other social media platforms. For those of you who are reading this who don’t know about Sports Interactive, we’re the people behind the Football Manager series of games, and another series of football management games before that. We’ve been releasing games for 24 years, starting off as two brothers based in their bedroom in Shropshire through to where we are now, a 110 strong team based in the Old Street area of London. We make niche games, although the niche is pretty popular – we sell just shy of 2m games a year and were independent until roughly 10 years ago when we became part of SEGA. 30 of the 35 people who were with the studio when the takeover happened are still here now. We also have circa 100 contractors at any one time, some in the UK, and some in other parts of the world. Most of our full time team live in the UK, but a handful live in other EU states. Please note – what is written below is my opinion based on the information I have. It is not necessarily SEGA’s opinion, or that of any other SEGA company. Or even necessarily that of anyone else at Sports Interactive. Now that the disclaimers are over, below is a slightly adapted email that I sent round to the team at Sports Interactive after being asked by many of the team how the vote could affect us. I’ve had to adapt it to remove some confidential information. I’ve been asked by a few people about how the EU referendum vote could affect us as a studio. Note that I’ve tried to be as impartial as possible below – I have my opinions on how I’m going to vote, but I’d never tell anyone else how they should, and there are other factors that affect many people away from the workplace that could affect their decisions. Unfortunately both sides lobbying for votes have been using lots of hyperbole in their lobbying rather than dealing in facts. And both are claiming that they are dealing with facts. Which is confusing for everyone. The Leave campaign have been using a bunch of things that could potentially happen using very factual language, such as their “£350m for the health service” quote (which has even made a Conservative politician move from Leave to Remain this week), without explaining that if we gave £350m to the health service there would be no money for border control! The Remain campaign saying that property prices could drop by 18% is, in essence, true – but isn’t the most likely scenario. The debate is also not helped by the Leave campaign essentially having little say on what the government would decide to do should a leave vote happen. Unless Mr.Cameron & Mr.Osbourne decided to stand down and the party voted Mr.Johnson & Mr.Gove to replace them. They have been clear when I’ve asked them direct questions that they aren’t policies, they are just ideas. They can’t be policies, because they aren’t the government. And that just adds to the confusion. The truth is that, should we leave, no one really knows the effects, so facts are quite hard to come by. But I’ve tried to disseminate as much information below on what the effects are likely to be for us. What do we know & how does it affect SI? As a nation, it is claimed that we are spending £350m a week on the EU, as has been put on the Leave campaigns “battle bus”. But we also get much of that back in subsidies to help keep food prices down and investing in science, including research into curing diseases. That figure also doesn’t take into account the rebate we get. The most accurate figure I’ve seen is less than half the amount, at £161m a week - https://fullfact.org/europe/our-eu-membership-fee-55-million/ (this is a good site if you want to get past both sides' hyperbole). Should the government decide, if we leave, to no longer mirror the subsidies that we currently use from the EU, then the cost of most basic food goods would go up. www.numbeo.com is a good site to check these out around the world – most basic goods in Norway are 50%-100% more expensive than in the UK (milk, bread, eggs, meat), and whilst the salaries in Norway are generally higher, so are basic rates of tax. If we vote to leave, it will take 2-10 years to sort out leaving. We could well actually leave in 2 years, but it would take a lot longer than that to sort out the laws that would be needed – there are tens of thousands of these. This would create a lot of jobs for a lot of lawyers – at a lot of cost. It will also cause chaos for the economy during this time – SI have over the last couple of years “lost” a seven figure sum due to exchange rate fluctuation and uncertainty, and these fluctuation will get worse if we vote to leave. You may remember that the SRP of the game actually went up on PC in Europe this year due to those changing exchange rates, but during our key sales period they went massively wobbly to an even larger degree - this makes it very hard for us to know the revenue coming in, or plan for the next versions of our games. The exchange rates may steady out once everything is sorted out, but it’s unlikely that it will return to a point of good rates for us. This affects our revenues differently depending on the situation – but as it stands currently, sales outside the UK (which are over 50% of our sales) are making us a smaller return than a few years ago, even with the higher prices. And less revenue means less resources available for our games. The exchange rate fluctuation would also hit our licensing costs. FIFPro is in Euros, as are most of our other deals. The MLS is in US dollars. So when the exchange rates change, so do the costs of the advances for the licenses. Marketing budgets would also be hit by these exchange rate fluctuations for anything we do outside of the UK. There seems to be agreement that if we were to leave the EU, the plan for immigration would be to have an Australian points system – but no work has been done at all on working out what that system will be. If it uses the current work permit system as a base, it would mean only being able to hire the most senior coders from outside the UK, rather than the flexibility we have now of being able to hire anyone inside the EU who is talented enough to join the team. No one is able to yet state whether people from EU countries who currently don’t need work permits will be allowed to stay in the UK. That will depend on who is actually running the country. 20% of our current dev team are from EU countries that aren’t the UK. And, as we know, there is a huge skills gap in the UK for software developers which won’t be filled for at least 9 years when the crop of youngsters in the first year of coding being in schools come out of university - this skills gap makes it really hard to find people in the UK who can do the specialised roles we hire for. Football wise, whilst not directly affecting us, the work permit system would come into place for EU nations. Which we worked out would mean 175 players at the top level in the UK wouldn’t have got work permits – including Payet and Kante. From a gameplay perspective that’s going to cause more than a few problems for people who play the game as British clubs. Trade wise, digital goods will likely be unaffected (apart from the exchange rate fluctuations). FM box copies would also likely be unaffected as they are manufactured outside the UK – although we may have to find a way to manufacture the game in the UK for copies here to avoid import taxes for our own game which could lead to longer lead times in getting discs manufactured as there is very limited capacity for this in the UK, and ALL film, music & games companies will be trying to use that limited capacity. This could also lead to higher prices in the UK, as that demand with limited supply availability would likely push the cost price of making the DVD go up. For people who travel from UK to Europe for business (or holidays), if we vote leave, and the EU do follow through with their threats to make the future relationship hard as an example to stop others from leaving, it’s likely you will need to get a visa to do so. And those living outside of the UK would likely need a visa to visit the UK. It could be more expensive for us a business for some of you who live outside of the UK as we’d need to find a way to pay you. If we were to leave, there are a multitude of laws that would vanish that would affect us directly – piracy, data protection, intellectual property, human rights, climate change etc. 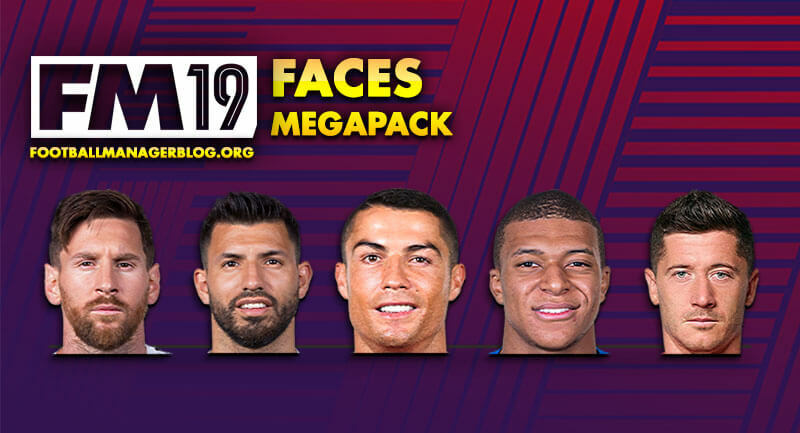 Some of these could change for the better. Some of them for the worse. We just don’t know. What we do know is that some won’t be the highest priority of laws, so would likely take longer than the 2 year “exit plan” to sort out, leaving a longer period of flux and uncertainty. If we leave, property prices will likely drop. Which is good for people who haven’t bought places, but not good for those who have mortgages already – their property will drop in value, interest rates will go up as inflation will go through the roof (should we not have trade agreements in place, which will take many years to achieve) so unless they’ve managed the situation already, will ( may ) lead to negative equity. Those who rent could see rent reductions – but could also see the property they live in being sold as in the last property crash as landlords get into financial trouble due to the paragraph above. It could be good for our negotiations for the office rent though as we can expect much smaller investment in the UK, and some companies will leave. These aren’t just idle threats being made – I’ve spoken to a number of companies whose head offices are here who would have little choice but to move their head office elsewhere in Europe and have a smaller team based here. And many of us saw the debate on TV the other night where the claim was made that a huge chunk of the pharmaceutical industry would have to move to be able to register drugs for EU compliance. I’ve tried to be impartial with this mail and detail some facts. The truth is that I can’t say for sure how it would affect us as there are so many known unknowns. So as you can read for yourself from the blog, the future of Football Manager game series is uncertain, and given the fact that the new version still wasn't announced only brings more speculation on the future of our favourite football management simulation. Let's all hope for the best and that FM17 gets announced soon. 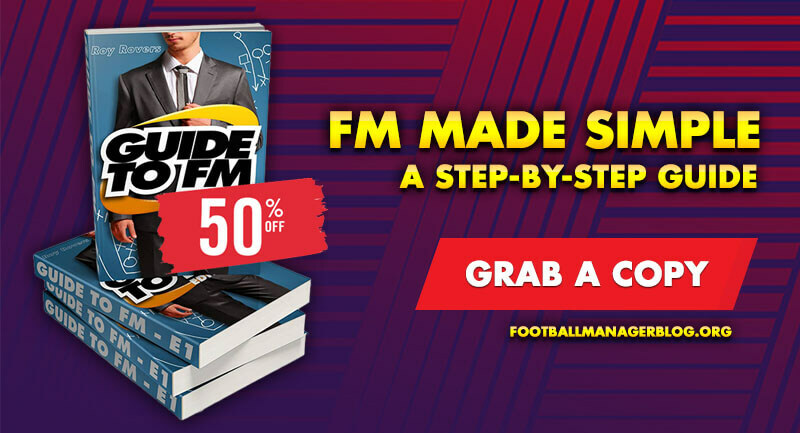 FM19 Blog - Best Football Manager 2019 Content: Will BREXIT be the END of Football Manager?! 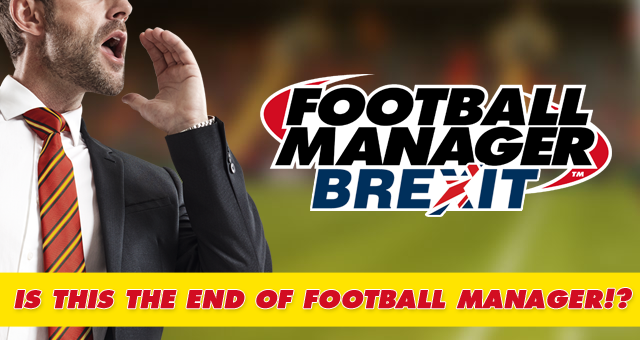 Will UK's decision to leave EU be the end of our favourite football management game?